An artist tweeted the plot of Once Upon a Deadpool last year. 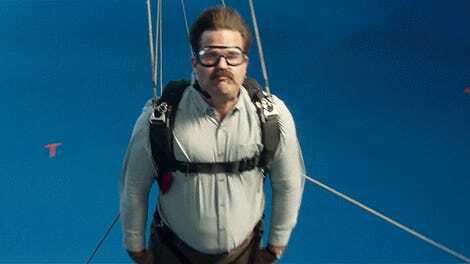 Which, as you can see from the first trailer, is exactly what the PG-13 version of Deadpool 2 is going to be. Syfy first reported the similarity. Bramley tweeted about the idea and went about his life. Then, earlier this week, he was at a mall in Michigan with his wife (hoping to find Detective Pikachu merchandise, if you can believe it) when she asked him if he’d seen the trailer for the new Deadpool. Bramley has since provided the proof in the form of the above tweet and even a more detailed Facebook post. 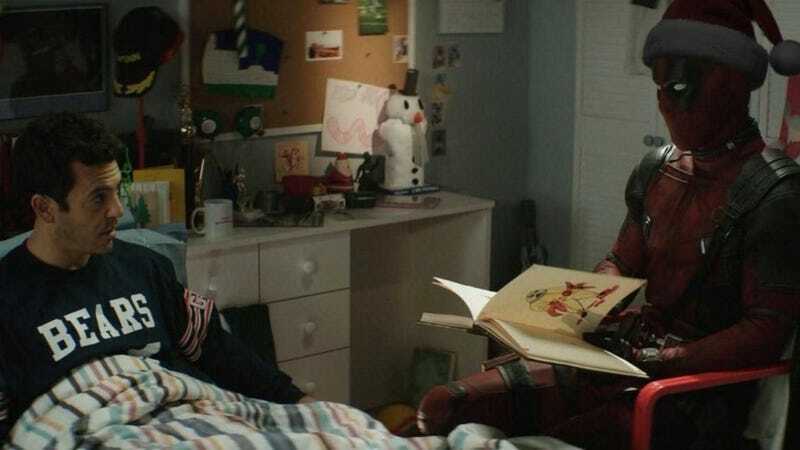 We don’t know when specifically Reynolds and his Deadpool 2 co-writers Rhett Reese and Paul Wernick had the idea for Once Upon a Deadpool, but talking to Slashfilm recently, Wernick recalled that Reynolds came up with it. In that interview, Wernick implied the conversation happened relatively close to when filming of the Fred Savage scenes took place, and roughly puts that in the time frame of July/August 2018. (He says it happened about two months before the interview took place in October.) All of which suggests that the idea for Once Upon a Deadpool came well after Bramley’s tweet in December 2017. We’ve reached out to 20th Century Fox, as well as representatives for Reynolds, Wernick, and Reese, and have yet to hear back as of publication. What happens next is a mystery. Bramley, of course, doesn’t own the IPs for Deadpool or The Princess Bride, so even if he did come up with the idea, you’d think it might be hard to have any kind of legal case. (This is why directors can’t accept unsolicited screenplays, by the way.) He also told us he doesn’t think suing Disney seems like a very good idea. But, here’s an even crazier idea. What if Bramley, himself a talented artist and comic book writer, is in cahoots with the Once Upon a Deadpool team and this whole thing is just an elaborate publicity stunt? Bramley’s first post on Instgaram was in May, probably around when this idea started to percolate, and—it just so happens—features Domino from Deadpool 2, whom he refers to as “his new favorite mutant.” Plus, all of his other comic art on that page is from Fox-owned Marvel properties. It’s curious, to say the least. Also, we know that the Deadpool 2 team likes to have fun with its social media marketing. Who can forget the Twitter page of everyone’s favorite X-Force member, Peter? Either way, the whole thing is an interesting twist on an already twisted Hollywood idea. Correction: The Domino Instagram post is from May of this year, not last year, which was originally written. On Thanksgiving, shortly after internalizing a metric tonne of Chinese food with my wife and her family and after I tweeted a disclaimer about how little interest I had in suing anybody, Ryan Reynolds slid into my DMs. I’m not going to share what he sent me here, but I will say that it was a respectful friendly message where he acknowledge that they had come up with the idea independently seven months after I did and that yep, I’d gotten there first, but that no; he hadn’t and wouldn’t ever use an idea without permission. I don’t know what the odds are, it seems incalculable, its like winning the weird lottery. But I guess that lotteries are won every week. And remember there were two Dennis the Menaces. These things can happen and it makes sense that if it were to happen to me, it’d happen with the film series that seems to have been tailor made for me in the first place. We had a brief conversation, maybe I’ll have more to say on the subject down the line. I did ask if he would sign a photo of Fred Savage for me and we’ll see where that goes. Since the last tweet I made on the subject didn’t inspire a dozen follow up articles and only a handful of Twitter users still want me to know that I’m a dickhead, I can only assume that things are getting back to normal now and that for the time being I can close the big Deadpool/Princess Bride book on the subject. Besides, I don’t know anybody else who can say that the exact movie they asked for got made or that it profited a deserving charity in the process. And I’ll know that whether directly or indirectly, I really did crack the PG Deadpool code.